Here, fishy fishy! 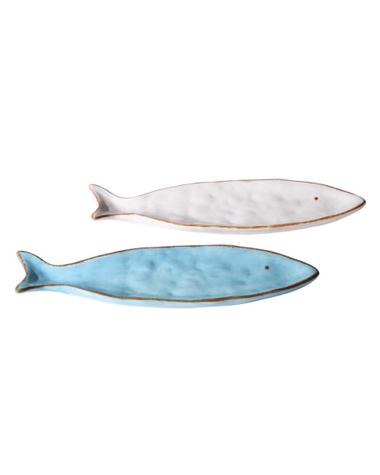 This pair of Dolomite serving trays shaped like fish is great for serving fish, shrimp or whatever your culinary whims dictate. Each bowl measures a generous 16" so there's plenty of room to keep a hungry crowd in snack heaven. 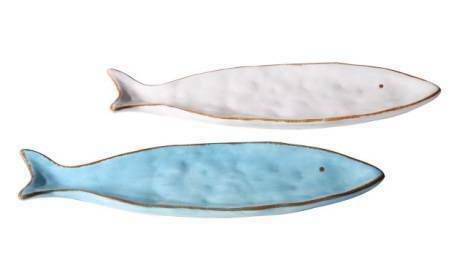 Pair them with our fish shaped dip bowls for a fabulously fishy table at your next lake party!